The testing site is at the the Hampton Inn Chicago Midway 6540 S Cicero, convenient to the CTA public transit “Orange Line” (with free parking in the hotel lots as well.). Review begins at 2:30 p.m., with proctored testing at 3:30 p.m. 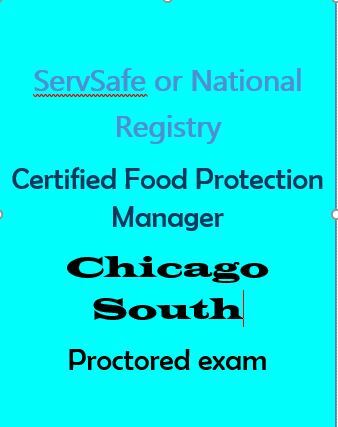 Successfully completing this proctored food licensing test provides the Food Protection Manager Certification for the Person-In-Charge in Illinois and surrounding states as well as the FSSMC (Food Service Sanitation Manager’s Certificate) license for the City of Chicago. 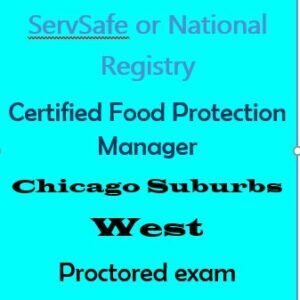 This certification is required for at least one food safety manager, present on-site when food is prepared/served in Illinois and Chicago. 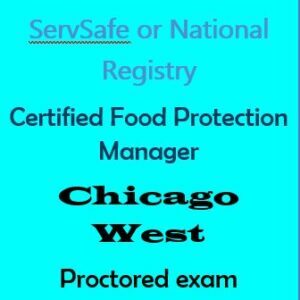 Public health department certification is called by different names in Indiana (Certified Food Handlers License ) and Wisconsin (Food Manager Certification). 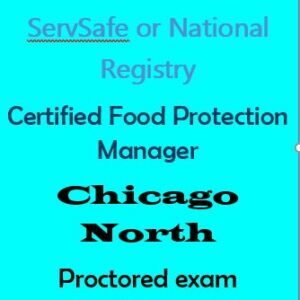 Choose either the ServSafe or National Registry (NR FSP) national licensing exam, which comply with the ANSI Conference for Food Protection (CFP) and are accepted by most local & state licensing boards to meet public health requirements for food safety licensing. Those completing the course on-line or retesting can complete the in-person exam as part of Certified Food Safety Program’s one day program. An optional review begins at 2:30 p.m.. The test is administered at 3:30 p.m.. The exam site will be at the Hampton Inn Chicago Midway 6540 S Cicero, convenient to the CTA public transit “Orange Line” (with free parking in the hotel lots as well).